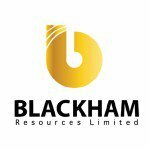 Blackham Resources (ASX: BLK) is Australian gold producer. Its Matilda / Wiluna Gold Operation is located close to the town of Wiluna, approximately 1,100km northeast of Perth. The Operation comprises over 1,100 square kilometres of tenements containing total JORC 2012 resources of 65Mt @ 3.1 g/t for 6.5Moz of gold. These tenements cover around 55 kilometres of strike along the Wiluna Mine Sequence and 10 kilometres of strike along the Coles Find Shear. The Wiluna Mine & Coles Find Shear have historically produced 4.3 million ounces of gold. Gold is currently one of the most investor-friendly commodity plays out there. Gold prices, gold producers and gold demand, are all raising their game at the same time, and providing junior gold companies like Blackham Resources (ASX:BLK) with the nutrition to flourish. BLK could not have really timed its run any better, as it is now official – BLK is Australia’s newest gold producer.